Victorias Secret is offering Up to 75% off on Womens Bra Sale plus Free Shipping on $100 or more. or Free Shipping on Incredible Bra via Coupon Code: SHIPFREE (Ends on 05/14). Please check some of the Hot Products from the Sale. 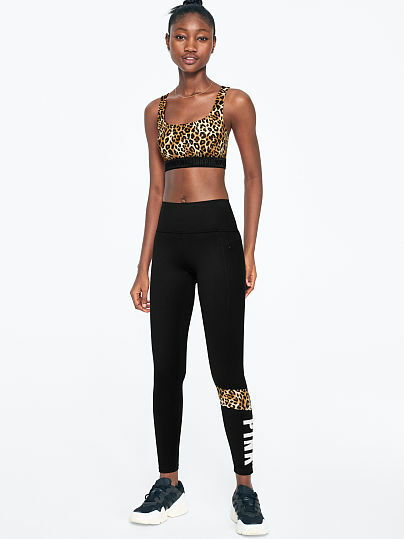 Victorias Secret is offering Ultimate Yoga Leggings for $35 Plus Free Shipping on $100 or more. Get BOGO Free on Beauty Bags with Coupon Code BOGOBEAUTY (Ends on 04/22). Get Victoria's Secret Satin Button-front Romper (Multiple Color) from Victorias Secret. Get Victoria's Secret Sleepover Knit PJ Set (8 Colors) from Victorias Secret. Shipping : Free on $50.00 or more via coupon "DM50FS0325"
Get Victoria's Secret V-neck Bodysuit (Multiple Color) from Victorias Secret. Victorias Secret is offering 40-60% off on Select Items During Semi-Annual Sale. Plus, Free Shipping with orders of $75 or more. Get Women's Angel City Tote (Several Colors) from Victorias Secret. Discount : 25% via coupon "BONUS25"
Get Victoria's Secret The Flannel PJ 2-Pc Pajama Set from Victorias Secret.